Rambam physician discovers new cause of vision loss in diabetics, creates new glasses to prevent impaired vision. Professor Naim Shehadeh, Director Institute of Diabetes, Endocrinology and Metabolism at Haifa's Rambam Health Care Campus, found that hyperglycemia with exposure to certain light wavelengths impairs vision. Professor Shehadeh, who also serves as President of the Israel Diabetes Association, hypothesized that although hyperglycemia (abnormally high blood glucose levels) is the major known risk factor for vision complications in diabetics, exposure to sunlight may also be important. Common diabetic symptoms include blurred vision, as well as early-onset cataract and retinal damage that can even lead to blindness. Diabetes is the leading cause of new vision loss in working-age adults (20-60 years old) worldwide. Israel is at the cutting edge in diabetes research, but has the third-highest mortality rate from diabetes among countries in the Organization for Economic Cooperation and Development (OECD). The mortality rate for diabetes is especially high in the Israeli Arab population. Many visual problems in diabetics are caused by changes in the lens (cataract) or as a result of damage and reduced function in the light-sensitive lining (retina) at the back of the eye (diabetic retinopathy), followed by changes in the blood-retinal barrier due to leaky small blood vessels. This causes retinal swelling and scarring. Since controlling hyperglycemia slows down but does not prevent these visual problems and their progression, other factors must contribute to diabetic cataracts and retinopathy. While eyes are exposed to a wide spectrum of light during the day, Professor Shehadeh and his Technion team hypothesized that exposure to sunlight may play an important role in the development of eye damage in diabetic patients. To test their theory, the team exposed diabetic rats to different light wavelengths from the visible sunlight spectrum and identified the harmful wavelengths. The next step was to develop an optic filter that could block those wavelengths and protect the eyes. Results showed that using glasses with a special optic filter significantly decreased light exposure by filtering out the short wavelengths (400–530 nm), thereby reducing eye damage in diabetic rats. This may also benefit non diabetic patients. Professor Shehadeh said the team felt driven, as they had nothing to offer diabetic patients with eye damage other than to instruct them to try to control their blood glucose. Human trials for the glasses are scheduled to begin later this year. 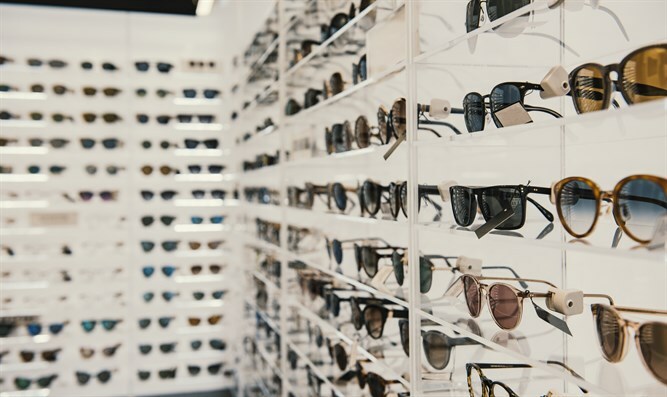 Prescription and non-prescription sunglasses with colored optic filters will be available in the spring for Israeli consumers. The future goals are to develop colorless filters that will offer the same protection – in glasses, buildings, car windows, and wherever else they can slow down or prevent vision loss in diabetics and perhaps non-diabetics. "This is the essence of Israeli scientific and medical innovation, offering hope to diabetes patients throughout the world who are at risk of losing the precious gift of sight," National Director of the American Friends of Rambam Medical Center Richard S. Hirschhaut said.